If you like your timepieces with undeniable beauty as well as rock-solid build quality, you’re going to love Carl F. Bucherer watches. The company was founded in 1888, and has long had a history of innovation in both design and function. Their watches are still made the old fashioned way and incorporate build quality, fine materials, and gold and diamonds to produce a timepiece that’s truly a sight to behold. They’re not inexpensive, but they are distinctive and exclusive. In fact, many of their models are limited editions. 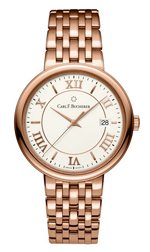 Read on for our full Carl F. Bucherer watches review. The build quality is exceptional. Cases are made from stainless steel and gold. They use rock-hard sapphire crystal to protect the watch face. Water resistance will vary by model, of course, but some models offer up to 500 meters of water resistance, making them suitable for just about any use you can imagine. Most of the models in the company’s lineup have Swiss-made automatic movements, though a few have manually wound mechanical movements. The company also makes a few models with quartz electronic movements, though these are generally at the lower end of the price range. All are Swiss-made. 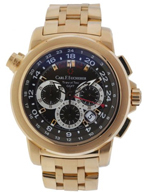 Carl F. Bucherer watches have a long history of innovation. The early art deco style used on many models in the 1920s first drew attention to the company. They were early adopters in creating chronographs and among the first to introduce a quartz-powered wristwatch. Most of the brand’s watches are currently available with a number of mechanical complications, including multiple time zones, moon phases, and a tourbillon. The styling of Carl F. Bucherer watches tends towards the traditional, with a nod to current trends, such as chronographs. Men’s models tend to be round, though a few models in the women’s line are rectangular in shape. Complications abound, so if you enjoy extra features, you’ll find the brand to be fascinating. 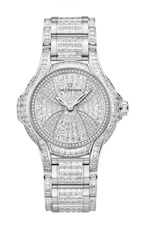 So will those who like a little bling with their timepieces; many models include generous application of diamonds. While the company has tinkered with digital displays in the past, all current models feature analog displays. Straps are available in gold, steel, leather and rubber, depending on the model. Many models are limited in production, often in quantities of 88 or 188, as a nod to the company’s 1888 founding. The care and maintenance will vary by model. Those with quartz movements will need to have the battery replaced every two years or so, and the company recommends having the watertight seals inspected annually. For automatic and manual mechanical models, the company recommends having them serviced every four years or so. This will involve disassembly, replacement of worn parts and lubrication. The watch will then be tested for accuracy and water resistance. As with all timepieces, your watch should be stored away from extremes of temperature and strong magnetic fields, as these can damage the timekeeping mechanism. With proper care, your watch should run well for decades to come. The warranty is surprisingly average for high end timepieces. The company warrants their products for two years from the date of purchase against defects in materials and craftsmanship. As these watches are tested rigorously before shipping, defects are likely quite rare. While we regard the warranty as average, that doesn’t mean that it is substandard. 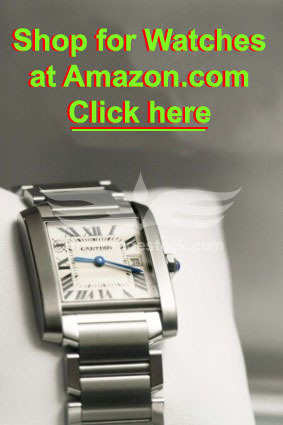 Most watches, even luxury brands, carry a two year warranty. As luxury timepieces go, you’ll find prices to range from moderately to extremely expensive. Models start with a suggested list price of about $3000 and work up close to the $500,000 mark. For that price, you’re likely to get a lot of diamonds and an assurance that the model you’re buying is extremely limited in production. Still, these watches are not for the faint of heart or the slight of wallet. Collectors are fond of the brand, as they are of many old-school Swiss watchmakers. You’ll see premium prices paid for older, out of production and limited edition models. We’re not suggesting that you should buy this brand as an investment, but if your purchase turns out to appreciate in value over time, you can consider that a nice bonus. As with most luxury products, this brand is officially available only through a small and select number of authorized retailers. This is done to keep prices high, keep demand ahead of supply and avoid giving the public the perception that the brand is either ordinary or common. Authorized retailers are generally high end jewelry stores located in major cities. Unofficially, you can purchase them from a number of Internet retailers, giving you a great opportunity to buy at a discount. We’ve seen them at some online stores for up to 40% off, so that may give you a great chance to pick up a relative bargain on one of the world’s great luxury watch brands. Don’t expect all retailers to carry the entire product line; many models are limited in production and just don’t get distributed well. There’s a lot to like about this brand. They’re beautiful. They’re well-made. They’re loaded with complications. They come with gold and diamonds. They’re limited in production and relatively rare. On the downside, they range in price from fairly expensive to outrageously expensive. You do get what you pay for when you’re buying Carl F. Bucherer watches, so if you have the finances for them, you’ll find them to be extraordinary timepieces.